But connecting drivers with the vehicles they need isn’t the only thing we’re good at. We also have a state-of-the-art auto repair center staffed by a team of highly trained automotive technicians. Using the latest tools and high-quality parts, we’ll help keep your car, truck, van, or SUV running like new. Shopping for a car should be easy, and at Station Chrysler Jeep, it is, thanks to our online inventory tool. This helpful feature makes it simple to find the new Jeep or Chrysler model that interests you most from our extensive inventory. Looking for a Pre-Owned Model? We have a growing inventory of used and pre-owned cars available. Whether you’re looking for a sporty coupe or a spacious family van, we’ll help you find the right vehicle to fit your needs. Be sure to ask about our collection of certified pre-owned vehicles, as well, which come backed by a manufacturer warranty. Deciding how to finance your new vehicle is an important decision. At Station Chrysler Jeep, our expert Chrysler financing team is here to guide you through all your options. We’ll review the benefits of leasing a vehicle and if it makes sense for you. Or, if you prefer to buy the vehicle, we’ll help you acquire a financing plan that works for you. Want to save time at the dealership? <strong?Complete our safe and secure online finance application now! 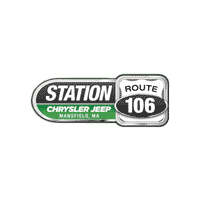 If you’re in the Mansfield, Attleboro, or Norton area and are looking for a Chrysler Jeep dealership, contact us at Station Chrysler Jeep. Our team is standing by to help you find a great price on the vehicle you need. Have any questions? Contact us today. We look forward to hearing from you. And don’t forget, we are open on Sunday’s!